DPS is a place where you can find some of the best online photography courses today. There are PLENTY of online photography courses for beginners and advanced photographers alike. How do you choose the best one, in terms of price-quality ratio? And gain understanding of your DSLR overall, then I’ve got a solution for you. You don’t need to spend THOUSANDS of dollars on your education. Let’s have a quick summary first before moving on to the details. The truth is that I love DPS. It started out as a digital camera review site but then developed into one of the most reliable Internet resources on photography. The good news for you is that “School” is not formal by any means. Instead, you’ll be in a challenging, yet enjoyable environment where you learn about the tips and tricks to help you improve all aspects of your photography. Not only can you find free information there, but DPS’ courses are top quality and are totally affordable. ==> See for yourself if Digital Photography School is a good fit for you. What is Digital Photography School? 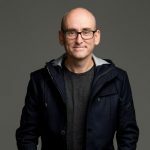 DPS is one of the most popular photography websites on the web, founded by Darren Rowse in 2006 (!). I mean, rarely do online businesses survive for that long. And not only did it survive but it’s actually thriving today as one of the best photo-resources online. If you’re looking for a place to help you improve all aspects of your photography, then Digital Photography School is an excellent choice. Within their website, you’ll find photography classes for beginner and intermediate levels alike, taught by the experts. … What matters is that you will know your camera, you will have solid foundation and, therefore, will take incredible photos! Let’s have a look at the courses DPS has to offer (to help you gain digital photography mastery). Let’s have a look at each course in detail. It’s no surprise I listed this course first, given that I’m a huge fan of landscape and nature photography myself. Your instructor will be Johny Spencer, a professional Australian landscape photographer. The course is divided into 30 modules that covers invidual topic. And not to worry, Johny will also talk about the right photography equipment. You’ll know what camera is best to use and what lenses will help you get take the best landscape shots. Not only that but you’ll have a chance to watch over his shoulder as you both venture into the Australian outdoors (and his exact Lightroom post-processing workflow). The course is structured in a way that’s easy to understand and follow; and you’ll be able to watch videos on your own schedule. Oh, and did I mention that there’s a 60-day money back guarantee? The Landscape and Nature Photography Course is a solid investment for the aspiring photographers and provides a lot of knowledge for the money. I’m sure you know that shooting night photography is not an easy task and you really have to know what you’re doing. Luckily, Jim Hamel is a great teacher and will help you learn how to take amazing photos at night. Check out Jim’s personal page, he’s amazing. Seriously. So, the course has 19 video modules that will teach you what gear to use, how to master exposure and night effects, and how to post-process night shots. 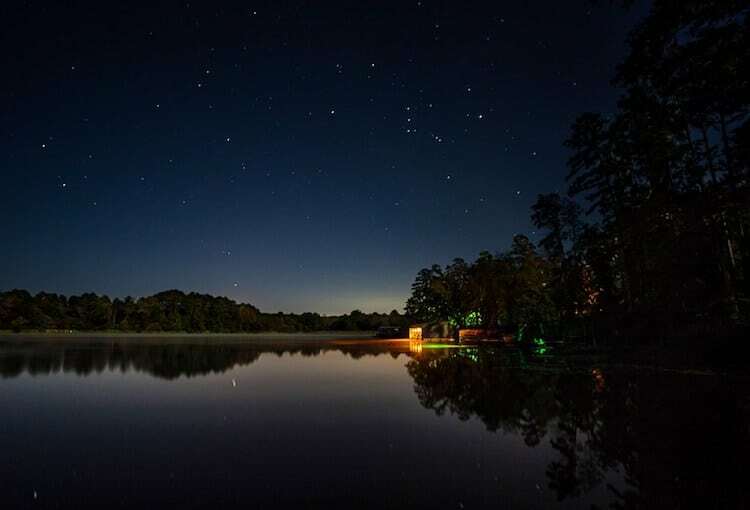 You’ll be amazed just how quickly you’ll start taking the best shots at night. (Yep, this course also has a 60-day guarantee that you can use if you’re not satisfied with the content). If you’re an aspiring photographer who wants to specialize in night photography, then Jim Hamel is one of the best teachers you can find online. Both of them are dedicated to beginner photographers who want to get to know their camera better, learn and understand things like ISO, aperture, shutter speed, f-stops, and so forth. Basically, you’ll learn the must-know fundamentals of digital photography. Neil Creek does a great job explaining things in simple and easy to understand language. 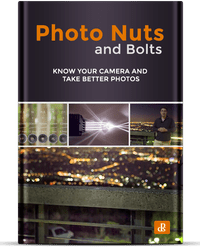 If you’re ready to put down your user manual and say “goodbye” to Auto mode, then Photo Nuts and Bolts is for you. The second course, Photo Nuts and Shots is also for beginners and it focuses more on the right tools and techniques you need for creative photography. This course is also taught by Neil Creek and you’ll be building on your existing knowledge of your camera. Photo Nuts and Shots is the ultimate creative photography primer. Post-processing is pretty much an inseparatable part of photography life. To do that, most professionals use Adobe Lightroom as the software tool for image post-processing. 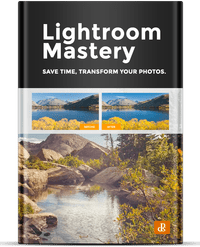 What is Lightroom Mastery about? It’s exactly what the title says. Mastering Lightroom application, using tips and tools to bring your photos to life and save you lots of time. Just like all the other instructors at digital photography school, Mike Newton is an excellent teacher and knows what he’s talking about. Lightroom Mastery: People & Portraits. That man who takes awesome night photos? Unlike other photography courses mentioned earlier, this course is highly practical/interactive. (And you get lifetime access to all the video modules, so you can work at your own pace). You’ll have access to Jim and you’ll be able to ask questions and/or feedback. Don’t underestimate having support when starting out… It’s huge! (In any field). It is for those who want to learn how to do digital photography. It is for those who want to create awesome photos, yet don’t know where to start. It is for those who need that solid foundation, and want to be confident in their skills. It is for those who need to understand all aspects of photography, from exposure to composition to processing. Currently, the “doors” to “31 Days to Becoming a Better Photographer” are closed but you can join their waitlist. This way you’ll be among the first ones to be notified when the course is open! Instead of $199, you’ll be paying $49. Join the waitlist and take advantage of the $150 DISCOUNT right now. I’d like to share 2 more mini-reviews from other people who took the DPS courses. Bette Cox from Canada says she took many online lessons but nothing was compared to 31 Days to Becoming a Better Photographer. Basically this course course helped her reach a whole new level, become confident in her skills and have the courage to experiment. “The concept of doing a daily photo after each lesson helps to put into practice what you have just learned. Jim Hamel is a wonderful instructor and I like that he is available for questions and answers back quickly. I have recommended this course to others that are just beginning. Don’t underestimate those private Facebook groups! Check out the video below on the pros and cons of going to photography school. Honestly, personally I do everything online. Most people I know say that they learned a lot more from photography classes online, than actual colleges they went to. The problem is that having a college degree doesn’t guarantee that you’ll secure your dream job. (And you’ll pay a lot more too). At the end of the day, if you find the right courses/classes, whether online or offline, it’ll still be helpful since you’ll learn the basics to build a solid foundation for your career as a photographer. Check out Digital Photography School courses now. Even their ebooks are awesome. There’s always a 60-day money back guarantee. If you’re not satisfied with the content, you let them know and you’ll have your money back. (I will be updating this part as I come across Internet resources that I find great). If you’re entrepreneur-minded and thinking of the ways to turn your passion for photography into a successful online business, then check out my #1 recommended platform. You can test-drive an ENTIRE program for FREE. (And have me as your personal coach… Also for free!). Do you prefer learning about photography online or going to actual school/colleges? Are you a beginner or at an advanced level? What is your photography genre: are into sports, landscapes, portraits? What do you think of my Digital Photography School review? If you have any suggestions, questions and/or concerns, let me know in the comments! Click here to jump straigh to the comment form. I have heard about DPS (Digital Photography School that is). I am happy to see that they also included a night photography course. What can I say I just love to take night photos, especially night cities is my favorite thing. On the course page, those modules only cover night cities, but do they also cover night nature or maybe night portraits of people like under the street light? I know, I myself love the night skyline, but I must say, I am not strong in this genre of photography. And this is where Jim Hamel with his course comes in. As far as I remember, there are no portraits during night time but I am sure that with the skills that you gain in the course, you’ll know what to do. … this you’ll definitely see. Luckily, you’ll learn about night nature photography too. In fact, there will practical “field work” videos that will show you exactly how Jim takes the beautiful landscape night shots like you saw on this page. I just came from your Nikon D3400 article to say that I bought it a few weeks ago thanks to your review (and I love the DSLR). While I really enjoy the “Guide Mode” feature of the camera, I have been looking for a place to help me improve all aspects of photography at an AFFORDABLE rate. Needless to say, I love the 49 dollar deal! Zarina, is there a particular course you recommend me to start with (as a beginner)? Glad I decided to come back to your website, and check out your new articles that you published since my last visit. Your Digital Photography School review is exactly what I needed. Can’t wait to learn and grow as a photographer. Seriously, thank you for sharing awesome info!! Yeah, DPS is great in every sense, and I certainly think it’s the best bang for you buck! Lots of value for under $100 per course. You’ll see for yourself when you try it. I have a fairly certain understanding of your situation based on your comment, so I’d say you should first go with the Photo Nuts and Bolts course. You’ll learn all the must-know fundamentals of digital photography, like shutter speed, aperture, DOF and so forth. In other words… This course will help you understand your Nikon better and therefore take better photos. (Then you can check out the Photo Nuts and Shots course, which I see as a follow-up course to the previous one.). Just my humble opinion. I hope this helps!